Once declared by Margaret Thatcher to be her “favourite journalist”, Boris Johnson has come a long way from his early days spent wooing the traditionalist, conservative readership of The Daily Telegraph in the late 1980s. His unique literary style and charming, old-fashioned sense of humour proved to be a hit with audiences tired of dry, passionless reporting and policy-driven discussion. Newspaper editors were quick to capitalise on Johnson’s journalistic charisma, and he soon worked his way through various positions at The Telegraph and The Spectator, even making a few television appearances on episodes of Have I Got News for You, Top Gear, Parkinson, and Question Time. Undoubtedly a skilled entertainer, Boris took advantage of his newfound television fame to become a kind of home-grown media personality, and consequently managed to emerge relatively unscathed from more than a handful of journalistic controversies and political gaffes. Realising the appeal of his charismatic, old-school persona among a certain social demographic, he soon began to actively seek a parliamentary seat. In 2001, Johnson focused his political ambitions on Henley, a Conservative safe seat in Oxfordshire, and won his place as a member of parliament with a majority of 8,500 votes. 15 years and two mayoral terms later, the UK public is faced with the possibility of a Johnson government in Westminster. To try to make sense of Boris’s meteoric rise through the political hierarchy, we must look past the bumbling, upper-class persona and into the mind of a man to whom the idea of truth has always been nothing more than a minor inconvenience. Johnson’s first foray into the world of journalism was in 1987, when family connections secured him a trainee position at The Times. Initially tasked with a series of insignificant projects, he went on to write his own piece on the archeological discovery of the palace of Edward II, for which Johnson consulted the expertise of historian Colin Lucas. Lucas, who also happened to be Johnson’s godfather, provided information about the site and allowed quotations from the interview to be used in the piece. Unfortunately for him, Johnson ended up fabricating a quotation involving historical information, and attributed it to Lucas. This information turned out to be entirely inaccurate, leading to embarrassment for Lucas, and an other than honourable discharge for Boris. By 1989, Johnson was enjoying a successful career at The Telegraph, where his column had gained unprecedented popularity with the newspaper’s largely “Middle England” readership. He was ultimately reassigned to the Brussels bureau, which allowed him to firmly establish himself as one of the most fervently Eurosceptic journalists in London. His reports on the European Commission were full of biting criticism, mockery, and derision, often focusing on trivial sensationalism over hard fact. He warned about EU plans to ban Britain’s favourite potato chip, standardise condom sizes, and anything else he could think of that would exploit nationalistic pride and outrage the reader at home. Fellow journalists, smarting at the realisation that audiences preferred Johnson’s colourful sensationalism over their policy-driven accounts, labelled him “dishonest” and “irresponsible”. Some say that Johnson’s imaginative writing style changed the face of political journalism in the UK, paving the way for much of the hyperbolic, emotionally-charged reporting we see today. A highly competitive media industry was forced to react to dwindling readership numbers, and future journalists were obliged to keep audiences constantly entertained, outraged, and begging for more. June 1995 saw the publication of a 1990 phone call between Johnson and his former schoolmate, Darius Guppy, now an established businessman. Guppy would later go on to commit serious insurance fraud worth £1.8 million, which would ultimately land him in prison. Collier was never hurt and Johnson denied giving Guppy the address, but it was an event that offered a unique insight into the inner workings of Boris’s mind, which was seen to be more concerned with getting caught than with the safety of a fellow journalist. In 1999, Johnson was appointed editor of The Spectator, a position granted to him on the condition that he delay his political ambitions while working for the paper. Applying his usual literary charisma, Boris managed to grow the Spectator’s circulation by 10%, which saw the publication finally turning a profit. As editor, Johnson was heavily criticised for taking the focus away from serious topics and focusing instead on trivial, sensationalised stories. He soon earned a reputation for being a poor political analyst, as many of his predictions were ill-informed and bore scant resemblance to reality. More worryingly, Johnson gave the green light to many racist and anti-semitic pieces submitted by writer Taki Theodoracopulos, which relied heavily on outdated stereotypes and offensive racial slurs. Despite protests in the years to come that his failure to cut these pieces was a mistake, Boris proved himself to be morally weak when it came to choosing between ethics and cheap popularity. His promise to Conrad Black, proprietor of The Spectator, was broken in 2001 when Johnson stood for election in Henley, winning his first parliamentary seat in Westminster. Betrayed, but aware of Johnson’s popularity as head of the paper, Black allowed him to stay on as editor. After several months spent vehemently opposing the UK’s potential involvement in the Iraq war, Johnson changed his mind and voted in support of Blair’s policy, using his Telegraph column to assure readers that supporting the invasion was the right thing to do. Following the UK’s involvement, he quickly reversed his decision yet again and loudly decried Tony Blair’s cooperation with the US, calling the invasion “a tragic error”, and Blair “unhinged”. Johnson’s failure to stick to his position in times of political upheaval does not bode well for the future of an independent Britain. As bureaucratic technicalities threaten to derail Vote Leave’s enthusiastic vision, we are already beginning to see Boris espousing a more watered-down, passive interpretation of Brexit than previously advertised. When Michael Howard ascended to the Conservative Party throne in November 2003, he decided to take advantage of Johnson’s popularity with the grassroots by appointing him vice-chairman, and then, following the 2004 shadow cabinet reshuffle, shadow Arts Minister. Now in the spotlight more than ever, Johnson was forced to publicly apologise to the people of Liverpool for an article he had published in The Spectator, in which Liverpudlians were referred to as “victims” with “an excessive predilection for welfarism”. Despite not having written the article himself, it was under his editorship that the piece had been accepted and printed. The article went on to mock locals for their sorrowful reaction to the kidnap and subsequent beheading of Liverpool man Kenneth Bigley in Baghdad, and also accused them of not accepting their share of the blame for the Hillsborough Disaster of 1989. In late 2004, a story broke in the press about an alleged affair between Johnson and Petronella Wyatt, a columnist at The Spectator, involving secret abortions and promises to leave his wife. Johnson resolutely denied the allegations, both to the public and to Howard, which landed him in a very sticky situation once the affair was proven to be true. Howard, feeling like a fool for standing by Johnson during the controversy, asked him to resign from the party front bench. Johnson refused, stating that he had a right to lie about such things, resulting in him being unceremoniously fired. In a 2008 campaign bankrolled largely by the private financial sector, Boris Johnson narrowly beat Ken Livingstone in the London mayoral election to become the city’s second ever elected mayor. Worried that he would no longer be able to sustain his lifestyle on a mayoral salary of £140,000 per year, Johnson courted controversy by opting to continue writing for The Telegraph, which earned him a further £250,000 per year. His team made an attempt at damage control by making him promise to donate a fifth of his Telegraph salary to charitable causes, but Johnson never fully followed through with this promise. Appearing on BBC’s Hard Talk, Johnson described the £250,000 as “chicken feed”, despite it being roughly ten times the average yearly wage for a British worker at the time. In 2011, Johnson announced that serious youth crime and reoffending rates had fallen dramatically under his mayorship, but these claims were quickly proven to be false. His assertion that teenage fatalities due to knife crime had been “cut in half” held true, but failed to acknowledge that overall knife crime offences actually increased during his first term. But perhaps the most lasting and costly aspect of Boris Johnson’s mayoral legacy is the swathe of expensive, high-rise building projects that have engulfed the London skyline over the last few years. Johnson was heavily involved in the promotion of London as a mecca for foreign investment, going so far as to overturn a local council decision not to allow construction of an invasive skyscraper in a low-rise residential area in favour of the developers. Unsurprisingly, the flood of offshore investment did nothing to ease London’s housing crisis, as developers did their best to maximise profit and often ignored their obligation to include affordable housing units in their projects. 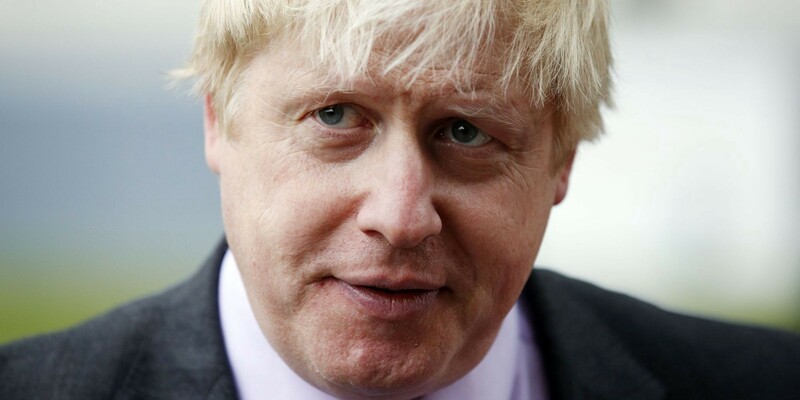 Johnson was publicly criticised for his trips to the Gulf, where he arranged lucrative deals with foreign corporations, and even more so for recklessly pushing through planning applications back home in London. The Thames Garden Bridge will join the Olympic Park’s Orbit Tower as another vanity project promoted by Johnson that has ended up costing the public far more than originally promised. Accused of having met privately with the developer up to 5 times before the actual tender process began, Johnson originally promised that the bridge would come at no extra cost to the city. Now his successor, Sadiq Khan, is left to contend with a project that, while remaining private corporate property, may well cost the taxpayer up to £60 million in construction and annual maintenance fees. In spring 2016, Johnson became the centre of great media interest following official confirmation of his support for the Vote Leave campaign. Such was his popularity among the electorate that, triggered by widespread belief that a Brexit was now all the more probable, the value of the sterling fell by almost 2%. Johnson’s history of playing fast and loose with the truth didn’t appear to deter voters, who opted to leave the European Union by a majority of 52% to 48%. No matter where you stand on matters of national sovereignty, it is safe to say that democracy can only work fairly under the condition of accurate and unbiased information for all. Unfortunately for UK voters, Johnson’s camp brazenly dismissed the necessity for truth, and decided to fall back on an old favourite — sensationalism. The only problem with the bus, which was manufactured by a German company in Poland, was that the slogan was entirely untrue. No matter which way you look at it, the numbers don’t add up. The purely hypothetical sum of £350 million, as estimated by the Treasury for 2015, does not include the rebate negotiated by Margaret Thatcher in 1984. The same Treasury figures show that the UK’s rebate for 2015 was £4.9 billion, which was, as it always is, applied before any money actually left the country. Factoring in this rebate, the UK’s weekly contributions would amount to somewhere around £248 million — £100 million less than Johnson claimed. Even this number does not fairly reflect the cost of EU membership to the UK since it does not account for any of the funding that the UK receives back from the EU. Wales and Cornwall are two big beneficiaries of EU financial support, and Cornwall is now demanding that the UK government promise to continue investing in the region in the event of the loss of EU funds. Putting aside the issue of Vote Leave’s incorrect calculations, more of which have been debunked here, it is clearly not responsible or truthful to estimate a net contribution and plaster it on the side of a £400,000 propaganda bus. That money, even if it had been £350 million a week, will not be under public control in the event of a Brexit and it is dishonest to suggest that it could be. The future government may or may not choose to continue funding the exact same projects financed by the EU, and, as Nigel Farage has already admitted, any money “saved” will most likely not go to our long-suffering NHS. In the worst case scenario, we are on a path to recession, making it increasingly unlikely that Boris Johnson’s government, or any government for that matter, will make it a priority to match the EU’s achievements in areas like environmental legislation, inequality reduction, and human rights. When looking for a new leader to navigate us through the turbulent waters ahead, we must not allow ourselves to be fooled yet again by a shamelessly opportunistic man with a less than honest past.